Uranian Midpoint Trees – bottom left settings and shared Setting with Landscape View #3 long-press Midpoint settings and the Uranian Trees display settings (at the bottom of the view). Note that his orb is used by the midpoint table aspect listing. 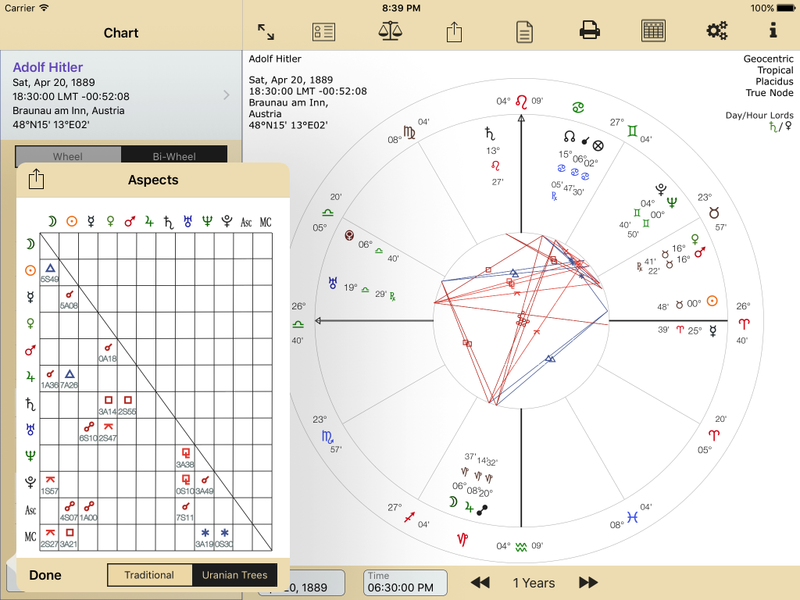 Midpoint aspects table and midpoint aspect lines. 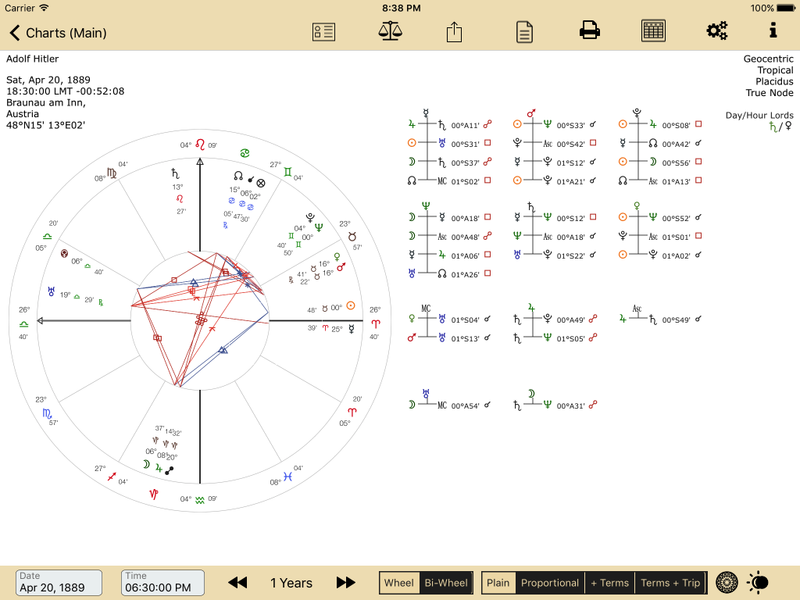 Note the table record selected: Neptune aspects the Moon/Mercury midpoint by a square and the aspect lines show this. Tap the record again to show the normal aspect lines. What settings are not shared: The Orbs! 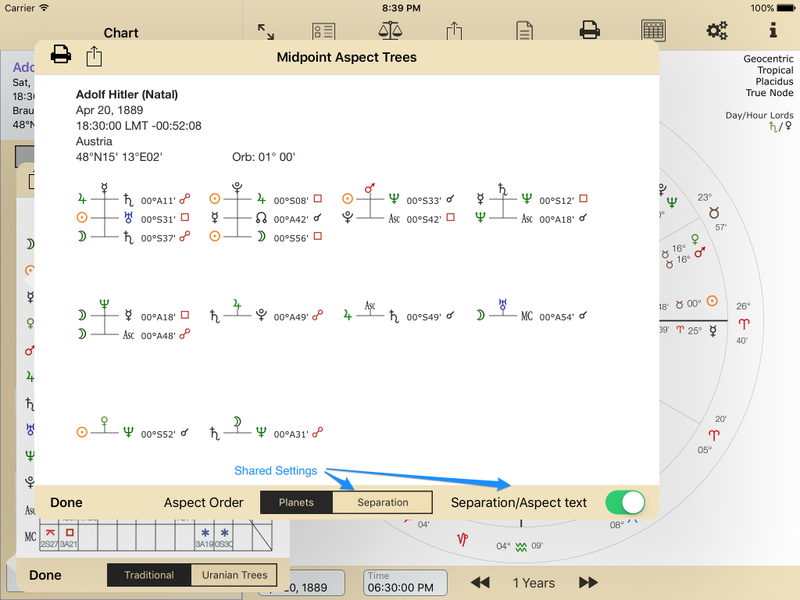 The reason for this is that the midpoint trees display on Landscape View #3 is not capable of showing all the trees that have an orb greater than 1 degree for modulus 45 aspects. Why? 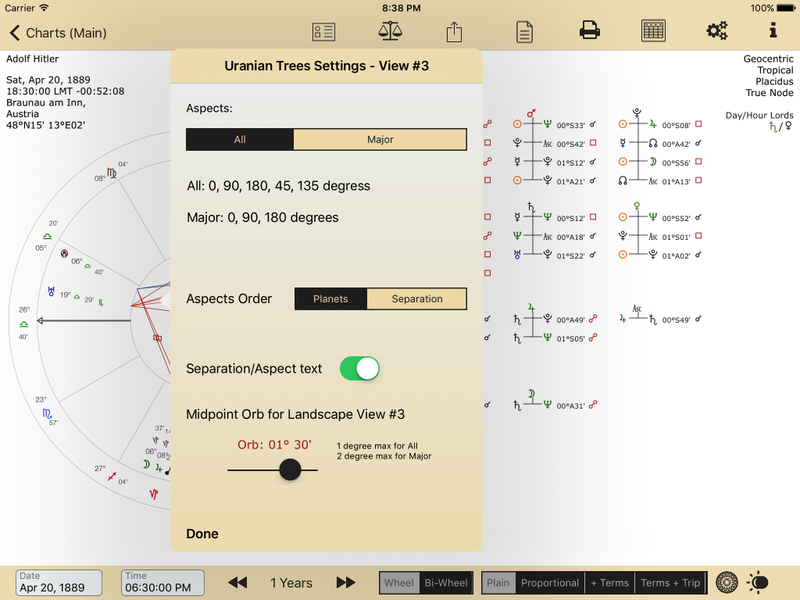 There can be too many trees to display within the confines of the iPad display. 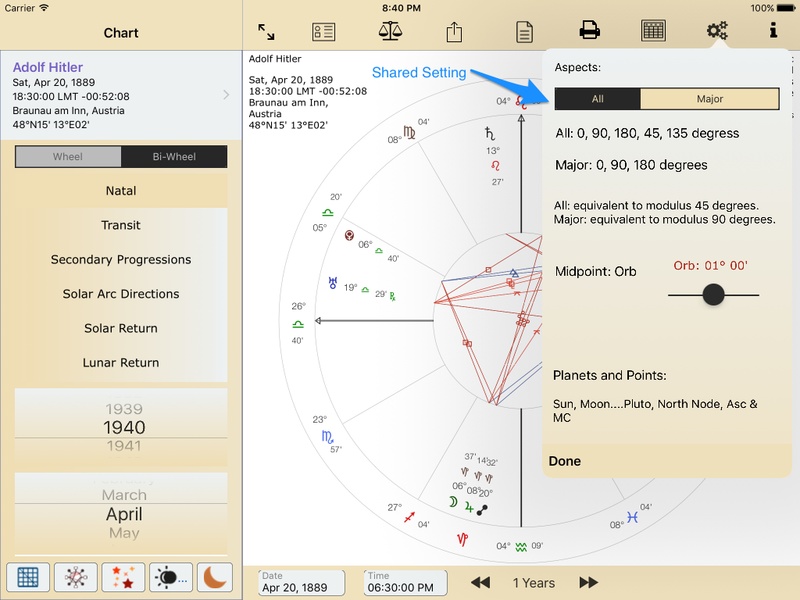 This means that separate orb settings are stored for the different views. Landscape view #3 orbs are a max of 1 degree for modulus 45, and a max of 2 degrees for modulus 90. 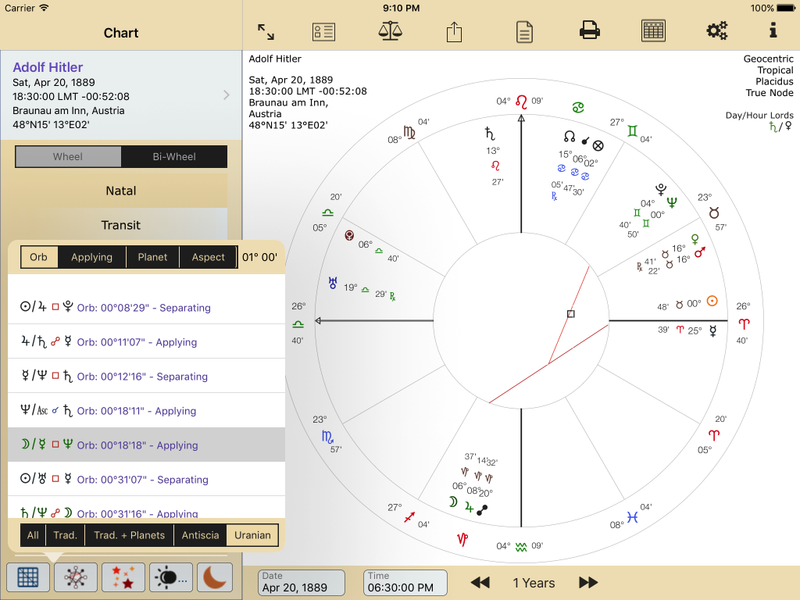 The bottom left view can display more aspect trees that the full landscape view as it allows a 2-degree orb for modulus 45 aspects.